If you love books and are in Washington this Labor Day weekend, don’t miss the annual National Book Festival on Saturday, September 5. Don’t plan anything else for that day. Almost 200 writers — novelists, non-fiction and children’s book writers, poets, graphic novelists, food writers, mystery writers, etc. — will be speaking and signing books. You’ll have to make some hard choices on which authors to hear/see. Louise Erdich, Ha Jin, Ward Just, Nicholas Kristoff, David McCollough, Jon Meacheam, Patrick O’Connell, Evan Osnos, David Quammen, Marilynne Robinson, Jeffry Sachs, Jane Smiley, and Edward O. Wilson are just a few of the authors whose names caught my attention when I looked at the list of confirmed authors. This Library of Congress sponsors this one-day book festival and, it has something for everyone: panel discussions, children’s activities, special events and programs. 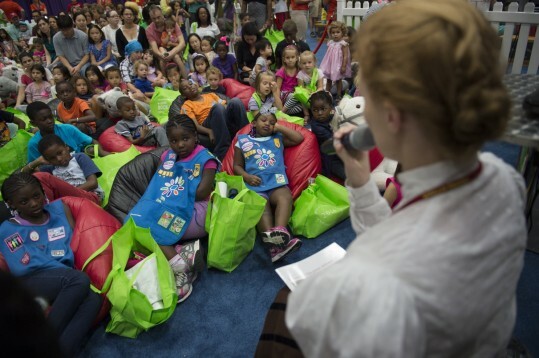 Last year (see MillersTime: Books & Reading: Alive & Well ), it seemed as if there were as many children as adults in attendance. Once again, DC’s wonderful DC Politics & Prose Bookstore will be selling books by every author at the festival. The festival is free and lasts from 10 a.m. to 10 p.m. on Saturday, Sept. 5. For more details, see 2015 National Book Festival Home page. Also of Note: Politics & Prose Bookstore & Coffeehouse has partnered with Busboys and Poets and is now handling the book sales at B & P’s coffee houses/restaurants/lounges. In addition, P & P has expanded its author presentations at three of the Busboys & Poet locations (14th & V; 235 Carroll St NW – Takoma Park; and 625 Monroe St NE – Brookland).